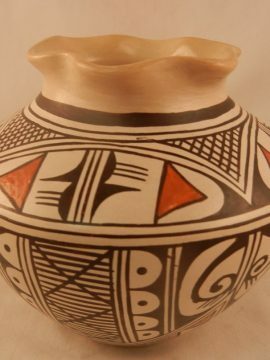 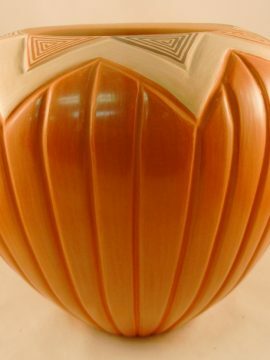 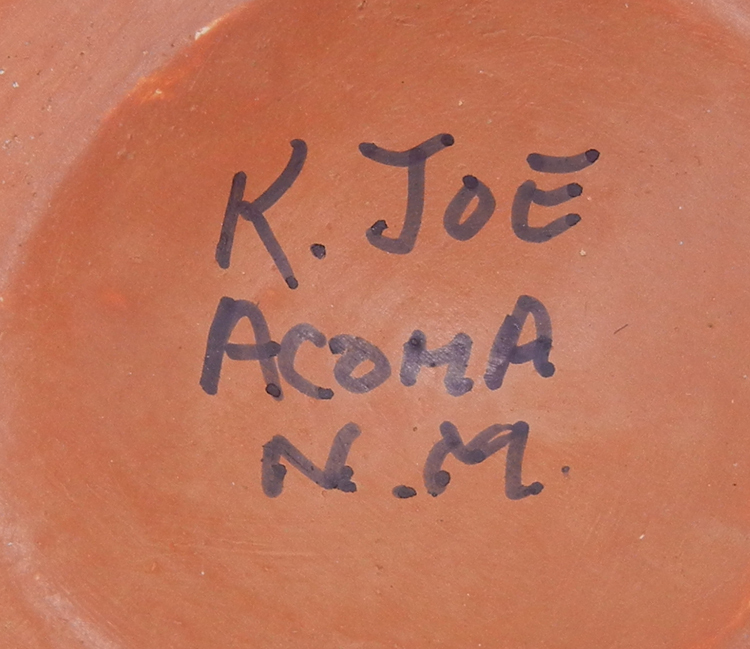 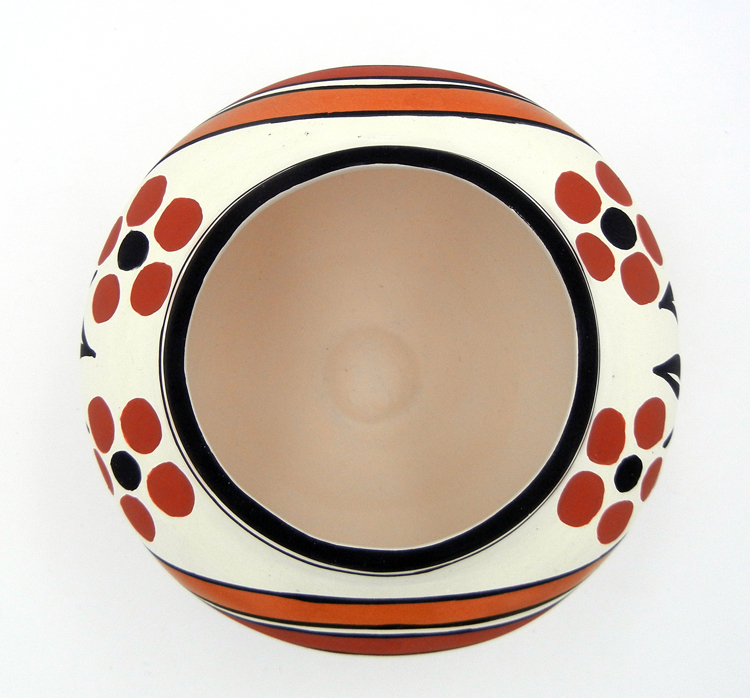 Traditional designs and colors converge along the surface of this small, beautiful bowl by Acoma potter Keith Joe. 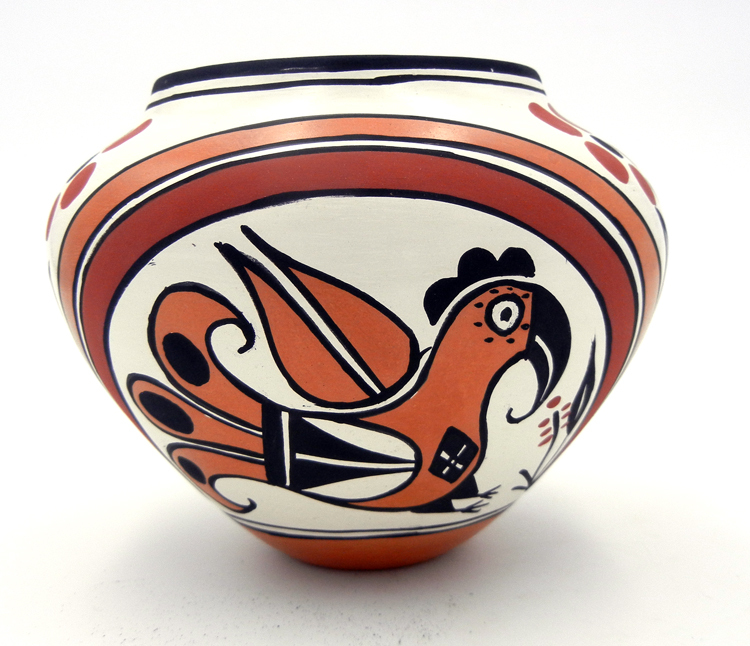 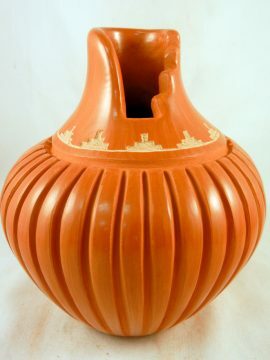 A single parrot, or rain bird, is painted on either side of the bowl, orange, white, and red in color and surrounded by red and orange rainbow bands. 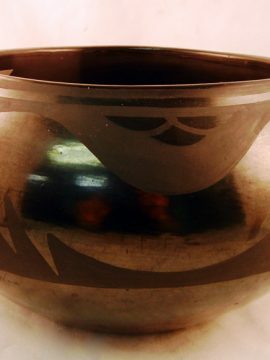 Painted in between each parrot are several red and black flowers, which stand out beautifully against the bowl’s white backdrop. 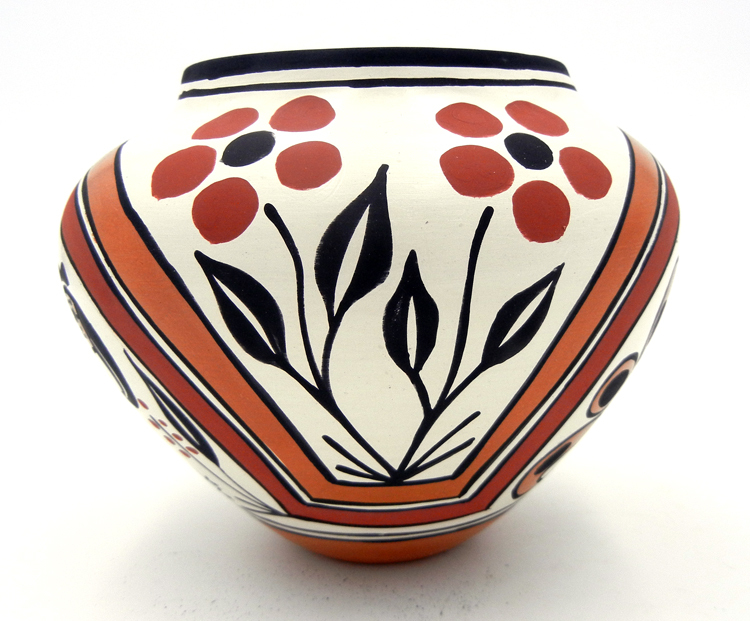 4 5/8″ tall x 5 3/4″ wide.